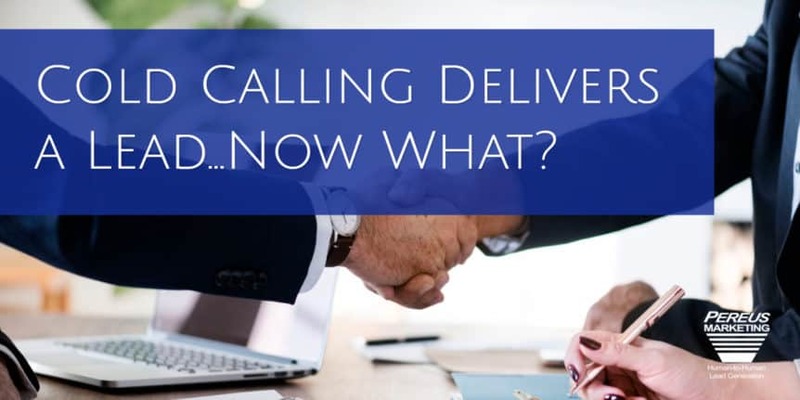 Blog Cold Calling Delivers a Lead … Now What? The goal of cold calling isn’t to make a sale, although that is the ideal outcome. What usually results when a lead generation company completes a successful cold calling campaign is a list of potential customers — people or businesses that have shown an interest in what you sell and are primed to hear more. Identifying a potential customer from a cold call is actually a considerable victory. Finding just one promising lead sometimes takes between 100 and 500 cold calls. In some industries, though, cold calling generates a two to 10 percent success rate. And these are qualified leads, prescreened and predisposed to buy what you have to offer. A qualified lead is someone who steps into your store to purchase something specific. An unqualified lead is someone who steps into your store to get out of the rain. It’s much easier to sell to a qualified lead; that person already knows you and what you sell. An unqualified lead takes up more of your precious resources, even if you do manage to get a sale. A lead generation company doesn’t make you work that hard; they deliver only qualified leads — potential customers in your target market who’ve expressed interest in your products or services. The cold calling service introduced you. Now all you need to do is close the deal. After a lead generation company provides you with qualified leads from a campaign, it’s up to you or your sales team to move those leads from the outer edge of your sales funnel — where they are when you meet them — all the way through to a sale, out the bottom of the funnel. This process, called nurturing, maintains the momentum and energy of that first contact. Many of the leads you get from a cold calling service may not be in a position to buy from you right away. 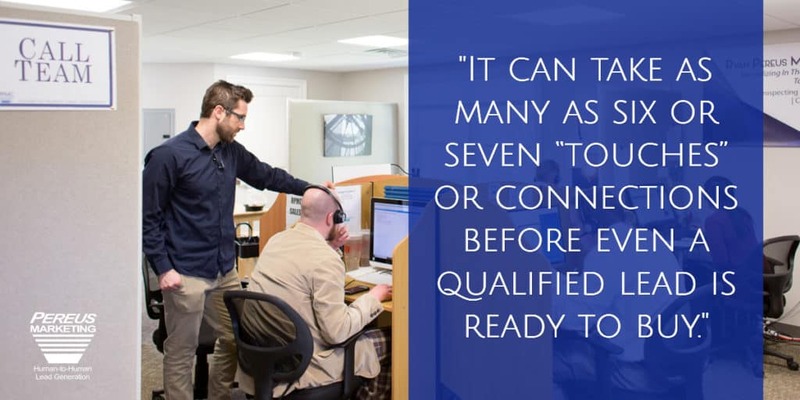 It can take as many as six or seven “touches” or connections before even a qualified lead is ready to buy. Some may never become your customers — for financial, strategic or logistical reasons. Nurtured leads usually end up buying more from you. Leads that you nurture are more likely to become repeat customers. Despite the extra effort, nurturing qualified leads costs less than finding new customers in other ways. Nurtured clients feel important and are more likely to give you referral business. Sales rarely just happen. They take hard work and dedicated follow-up before you get to the sale. Because of your effort, when those leads are ready to buy, your company will be top-of-mind, and you’ll get your sale. And a successful sale isn’t the end of the process, either. If you do a good job nurturing your leads and satisfying their needs, they may eventually become brand ambassadors for your company, spreading your name and returning again and again — and with friends in tow.